The hugely-respected comedy actor was one of the pioneers of 1980s new wave, alternative comedy. He was, no doubt, a comedy idol to many, transforming British comedy in the 80s with his energetic and unrestrained characters, and inspiring many upcoming comedians by introducing them to a much-needed, alternative way of making people laugh. One of his earliest major TV appearances was in 1981 in the BBC comedy sketch show A Kick Up The Eighties and in The Comic Strip Presents which was first broadcast on Channel 4 in 1982..
Also in 1982, Rik starred in and co-wrote the first series of the anarchic comedy The Young Ones, playing the self-important, anarchic, poetry-writing student Rick. The show was full of outrageously violent slapstick comedy scenes and surrealism that was both cutting edge and fun to watch. Nigel Planer played the paranoid hippie Neil, Adrian Edmondson had the role of violent punk Vyvyan and Christopher Ryan played the suave and shady Mike. Alexei Sayle provided his own material and played a number of characters in the series. 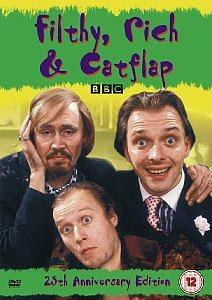 A comedy series that Rik Mayall starred in that followed hot on the heels of The Young Ones (and is rarely mentioned) is Filthy, Rich & Catflap. Six episodes were broadcast by the BBC in early 1987, with Mayall playing Gertrude "Richie" Rich, a delusional, "resting" actor who believed he was more famous than what he was. Nigel Planer played his sleazy agent Ralph Filthy and Ade Edmondson was his drunk and often violent minder Edward Didgeridoo Catflap. Between 1987 and 1992, Rik starred as the lead character, Alan Beresford B'Stard (a greedy, devious, scheming right-wing Conservative back bencher) in the critically acclaimed ITV sitcom The New Statesman. 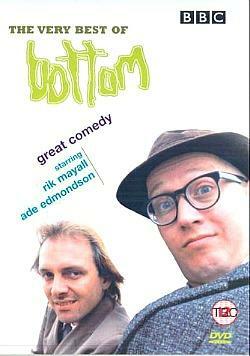 One of the funniest comedy's to come out of the 1990s was Bottom, which had its first run on BBC2 between 1991 and 1995. 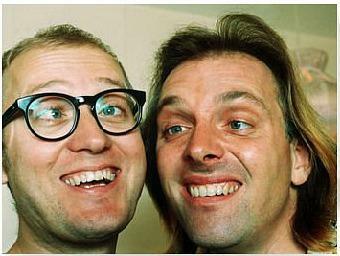 The storylines revolved around two unemployed flatmates, Richard "Richie" Richard (played by Rik Mayall) and Edward "Eddie"Elizabeth Hitler (played by Adrian Edmondson). 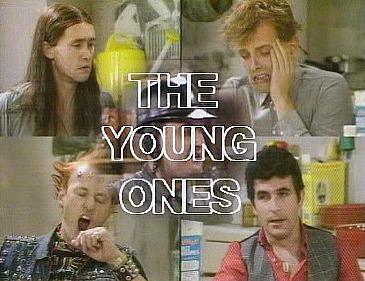 As with The Young Ones, the comedy was chaotic and packed with violent slapstick. Scenes included heads being jammed in the fridge door or being battered with a frying pan, legs being cut off with a chainsaw and other niceties. 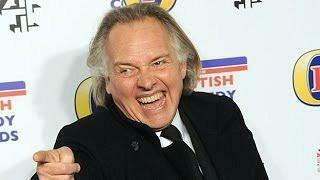 Rik Mayall sadly died at his home on June 9th 2014. One of his last TV appearances was in the Channel 4 sitcom Man Down as the father of Greg Davies. One of the major pioneers of 80s new wave comedy will be very sadly missed.